The Forever Whale: Book of the Month! Sarah Lean is a bestselling author who’s written some great books like A Dog Called Homeless and A Horse for Angel. In this latest story, she looks at the relationship between a young girl called Hannah and her grandad. Hannah adores her grandad, but unforunately he has Alzheimer’s and is always forgetting things. He keeps trying to tell Hannah a story about a whale, which seems really important to him, but he keeps getting it all jumbled up. Then he has a stroke and can’t remember anything, even Hannah. 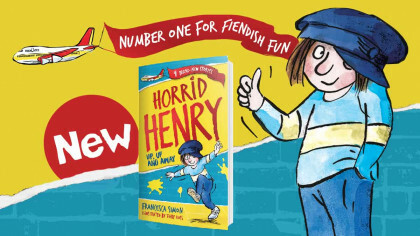 However Hannah is determined to get her Grandad back and so sets out on a mission to make a film that’ll remind him of his life, setting in motion an extraordinary story about a whale that connects Grandad’s childhood to her own. 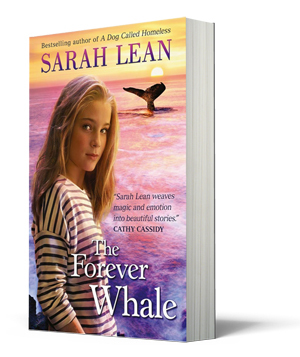 For anyone aged 9 and above, The Forever Whale is well worth checking out, and it’s out now!